The day definitely called for a top knot. I achieved this one by putting my hair in a high pony and wrapping it around. Secure with a pin and voila! You’ve got an awesome bun. For my lips, I needed something bright and moisturizing. 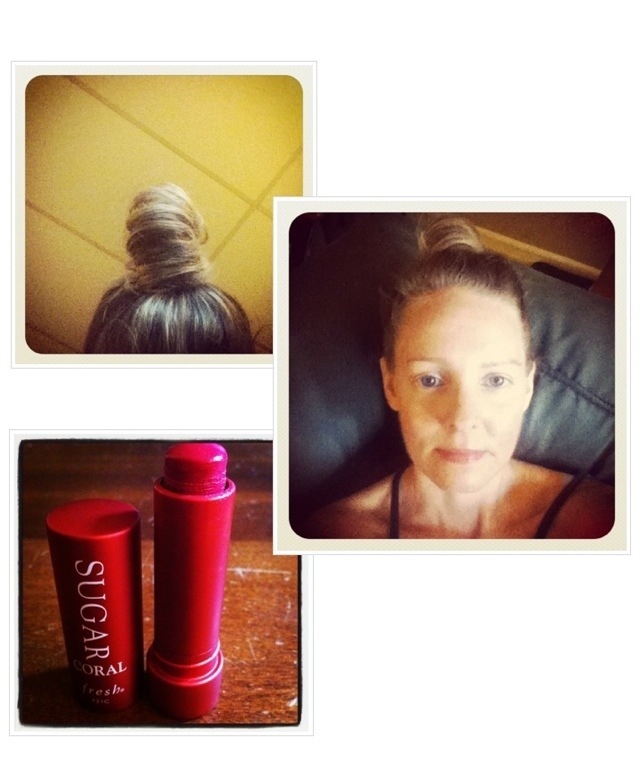 This is the latest color from Fresh-Sugar Coral. I love the shade and it keeps my lips moist for hours (available at Sephora). 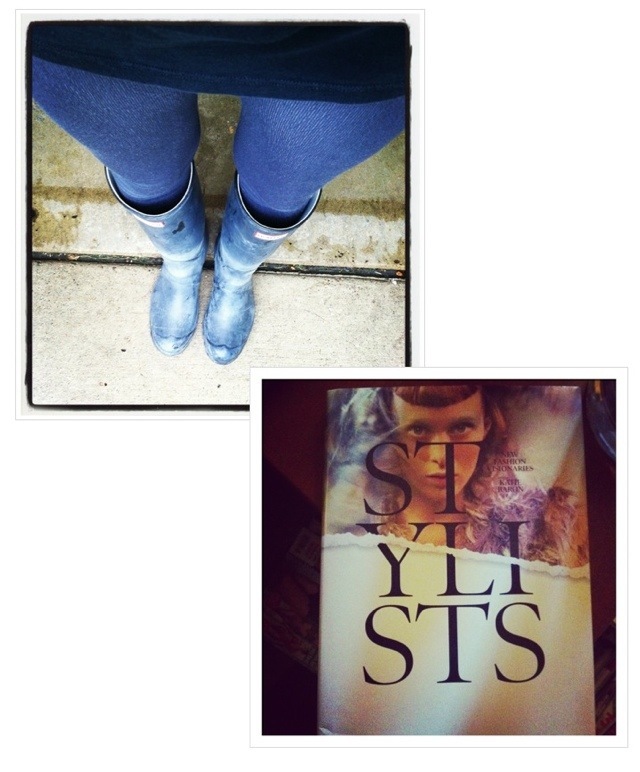 I had my Hunter rain boots on a lot (available at Nordstrom) and since it was chilly, I pulled on my cozy fleece-lined leggings (Anthropologie). In between loads of towels and wet-vacing, I paged through this wonderful book, Stylists-New Fashion Visionaries (Amazon). On such an ugly day it felt good to look at some beauty. If you are on instagram, look me up. You can find me under “chegpie”, which was my dad’s nickname for me (he actually called me “cow pie” until I figured out what that was). Hopefully today will be a sunnier one!